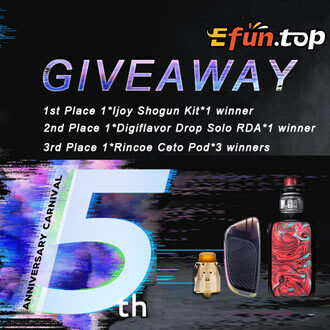 Get the latest deals and exclusive discount codes from Joyetech UK who are constantly bringing innovation and high quality vaping hardware to the UK. Joyetech.co.uk are the exclusive authorised reseller and distributor of the Joyetech range in the UK. This week, Joyetech UK has a 20% reduction across 3 e-liquid ranges: TECC Titan, TECC Titus ADV and FUNK'D! Reduction valid until 28/3/19.